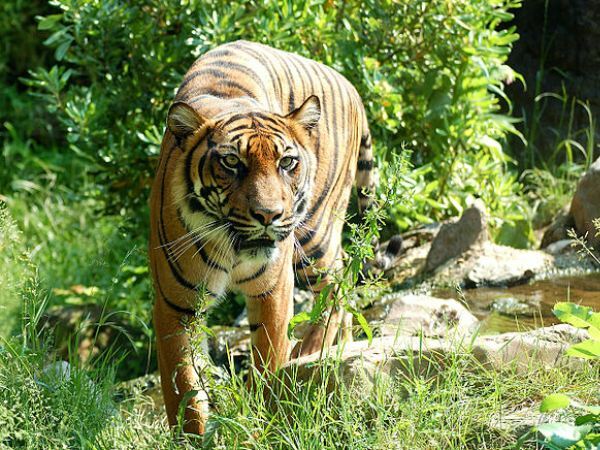 So a man and a tiger walk into a bar – no, really! A man has been charged with disorderly conduct after taking a tiger into a bar. John Basile casually wandered into Uncle Richie's bar in Lockport, Illinois in the Midwestern United States, with a tiger cub from his animal rescue centre and although some of the other customers thought it was cute the police disagreed. Lockport Police Chief Terry Lemming told WBBM: "My concern was really for the people who frequent the downtown area. There were people in their cars shouting like, "Is that a tiger? Is that a tiger?" Basile has also been charged with reckless conduct and possession of a dangerous animal.